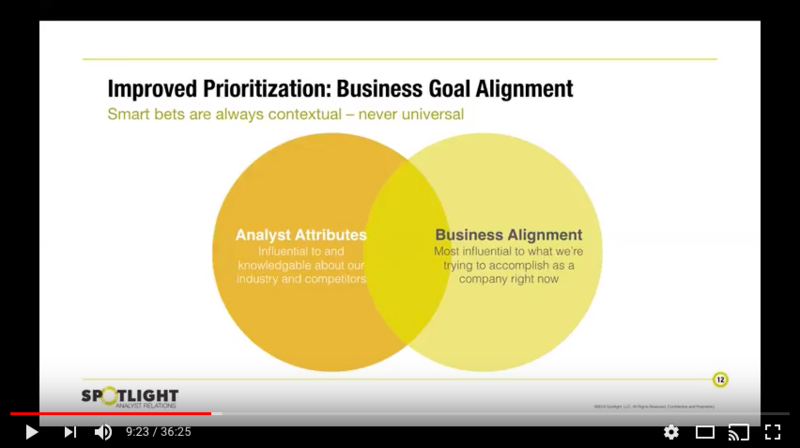 Are you prioritizing the right industry analysts? You invest time and money talking to industry analysts, but are you spending the right amount of time and money talking to the right analysts? We explored this topic in the first webinar in our Advanced AR Techniques series. These free webinars are for the AR community to discuss some of the tough questions that AR pros have to answer. In each 30-minute session, we will take a deeper look at a specific AR challenge, share techniques that have worked for our clients, and provide tools and templates (below) that will help make the content more actionable.